WELSHMAN Andrew Selby must wait to cement his Olympic place in London despite his heroics at the World Championships in Azerbaijan. 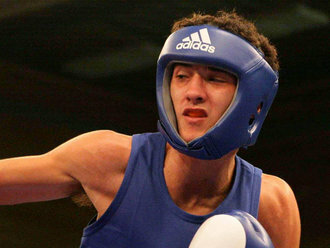 Selby produced the most successful performance ever by a Welsh amateur boxer by winning silver yesterday in Baku. But the reigning European champion was unfortunate to lose his bout by just one point, being agonisingly edged out 13-12 in the final by Russia’s Misha Aloian. After Aloyan moved into a small first round lead, Selby battled back and produced a superb final 6-5 effort in his favour but it was not enough. “I thought I’d done just enough to win,” admitted the Splott ABC product from Barry. “I lost the first but thought I’d brought it back in the second. Selby still became only the second Welsh boxer to claim a World Championship medal following in the exploits of Carmarthen heavyweight Kevin Evans in 1999. But he has still to guarantee his Olympic place with Selby knowing only victory yesterday would have guarantee his place at London, because GB will only be allowed one boxer per weight category. Rival Khalid Yafai had reached the quarter-finals qualification spot and the pair face a box-off for a place at London 2012 for the 52kg berth, which is scheduled early next year. “I wanted gold so much so I could go to the Olympics,” admitted Selby. “But I’ve got to have a box-off now. Selby will be looking to join compatriot Fred Evans, who achieved Olympic qualification in Baku by reaching the last eight in the welterweight division. Frankie Gavin remains Britain’s solitary world gold medallist in 2007. But it was still the biggest ever medal haul by British boxers at the championships.